Andy & Bethan are our Senior Pastors. Andy's responsibilities include church leadership & vision, Preaching & Teaching from the Bible & church planting. Bethan is responsible for Children’s & Families ministry, Healing & Wholeness and Equipping for life. They came to the church in 1991 whilst studying as students at Royal Holloway College in Egham. After graduating, they married in 1994, and now have two children, Ruth and Jamie. They joined the church staff in 2005 and were involved in many different ministry areas before taking on the senior leadership of the church in 2011. Senior Assistant Pastor overseeing Worship, Sound & Video, Facilities, Communications & IT. Rob is one of our Assistant Pastors, overseeing our Small Groups, The Gathering (our evening service) and a bunch of other things. He's always up for a good cup of coffee. Alli is PA to Andy and in her role provides administrative support to Andy as well as leading our admin team. Gavin is our Youth Ministry Pastor and works with Bethan and Dave to bring excitement, encouragement and teaching to our under 18's. Gavin is married to Kate and is an avid fan of Ipswich Town FC and has run the London marathon 3 times. He has been involved in youth work for over 10 years, and is every bit as passionate about it as he was when he started. Dave is our Children and Families Pastor, and is passionate about helping our children in Young Vineyard to come to know and love Jesus, and to develop their relationship with Him through fun, worship and Bible teaching. Dave oversees our children's 'outreach' work, including events such as holiday clubs, light parties, Messy Church and Busy Bees. Dave is married to Beth, our Young Vineyard and Youth Administrator. 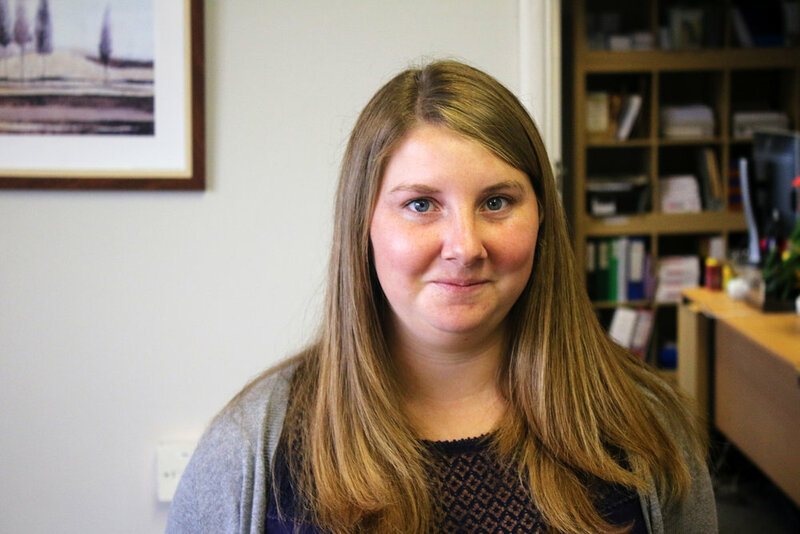 Beth is our lovely, friendly and very organised Youth & Young Vineyard administrator, mainly supporting Gav and Dave, but also working with the general admin team too. Beth loves administration, working with young people/children and Dave (our Children and Families Pastor), to whom she is married. Heather oversees Newcomers, Sunday Teams and church events as our Welcome Ministry Leader. Heather is the friendly face you'll see at our Newcomers events and around our Sunday welcome teams. Storehouse Ministry Leader providing support, care and relationship to people who find themselves in difficult times. Karen is our Storehouse Ministry Assistant supporting Hannah through administration and organisation. Kenia is part of our amazing admin team working our finance and accounts. Elliot is our Design & Communications Assistant. He brings an eye for design detail to our core artwork working with our brand consultant. Elliot also gets involved with our communications including social media and video projects. William is our Centre Manager and helps make sure that everything in our building works. He is responsible for Compliance, Health & Safety, Food Hygiene amongst other things. He's the friendly guy with a hammer and measuring tape keeping things going during the week and keeping the community in shape at the Keep Fit Health Training group. Emad, our Centre Assistant, ensures that the Vineyard Centre is always ready and prepared for the many events, services and meetings that take place throughout the week and at weekends. Emad's smile and generosity accompany his willingness to help everyone who needs it in any way he can. Emad can be found doing a myriad of things around the building, and often treats us to amazing food that he has made or picked from the garden.